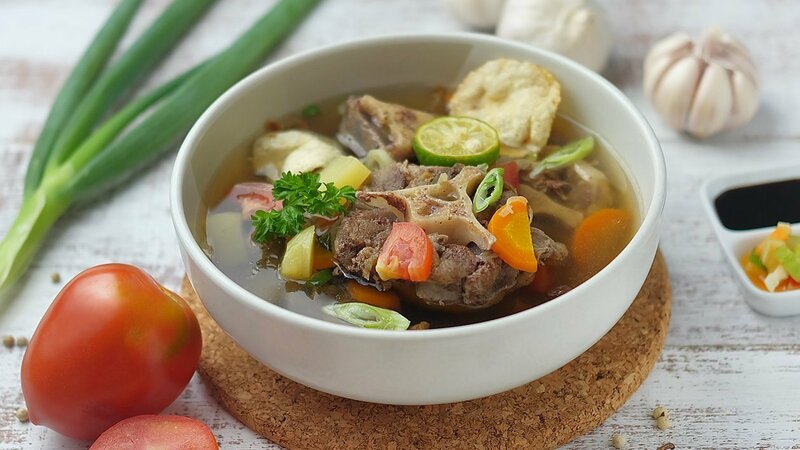 Oxtail is a very unique dish that will indulge your day. Reward others with this lovely rich soup. Put the oxtail into a pot containing water. Bring it to boil. Put the tail into the water. Add carrots, bay leaves, spring onion, celery. Add cinnamon, cardamom, cloves, and nutmeg. Stir the oxtail until well mixed and bring it to boil. After boiling, reduce the heat. Set aside all materials except the oxtail and broth. Turn off the heat. Lift the pan that contains the oxtail.